Members of the Women WISE 3 gathered on September 1 to celebrate its 4th anniversary and intensified calls for justice, livelihood and jobs. 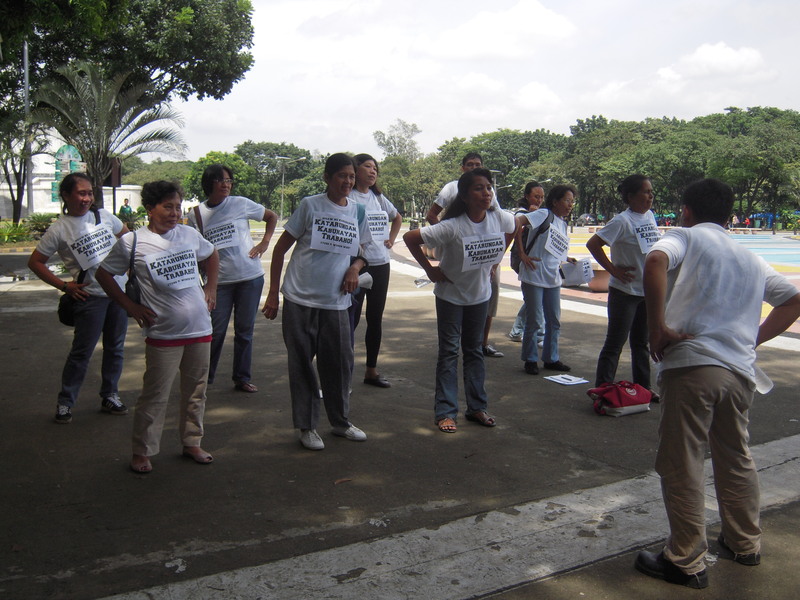 Early in the morning, members of Women WISE3 gathered at the Quezon City Memorial Circle and jogged around wearing shirts with calls, “Katarungan, Kabuhayan, Trabaho!” to inform the public of the continuing campaign to end human rights and labor rights violations. Before lunch, Women WISE3 gathered in an assembly to strengthen its unity and plan for its fifth year. Late in the afternoon, members who were affected by the recent floods also receive some relief goods.